Just a quick note as I spend a bit of time in Ontario before loading up all my belongings and driving to New Brunswick. 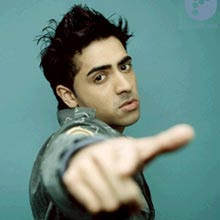 I'm really enjoying the latest cd "My Own Way" by the young British R&B artist Jay Sean. If you are a fan of early Craig David, Chris Brown and Ne-Yo you should definitely check it out. The album is on iTunes Canada, you can also find it here.